The John and Christina Markey Malden Senior Community Center is located at 7 Washington Street. 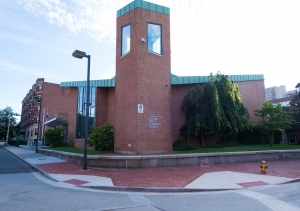 The Malden Senior Community Center serves people aged 60+ from the City of Malden and its surrounding communities. We strive to provide programs and services that: Stimulate your mind; Keep you active; and lift your spirit. Socialization is the best medicine! The Senior Community Center offers programs, services and activities for Malden’s senior population. A wide variety of other programs are offered for the mind, body and spirit, helping seniors live longer, safer and healthier lives in their own community. The Mayor and City Council made this large investment for the community and are committed to keeping it a viable and rich resource.